Attendees at next year’s Kentucky Derby may be able to place legal wagers on sporting events that don’t involve horses. 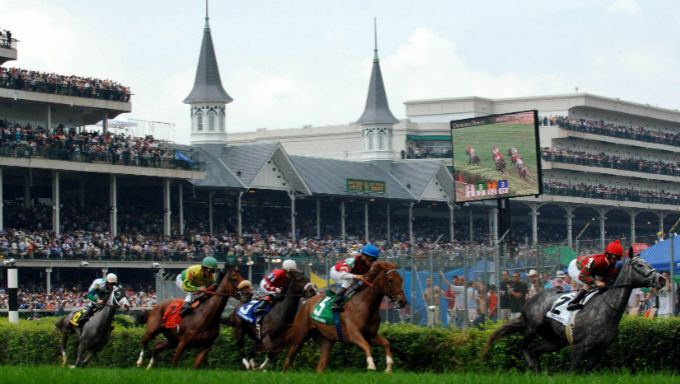 Kentucky lawmakers earlier this week reiterated their support for plans to bring sports betting to the Bluegrass State. At an Aug. 8 forum in Louisville, legislators outlined their positions on a bill they hope to pass in next year’s legislative session. Though the General Assembly won’t reconvene until January 2019, support from both parties and in both chambers could bring single-game sports wagering sooner than later. A group of nine lawmakers has introduced legislation ahead of the 2019 session. Though Kentucky is one of the few U.S. states without casinos, it has the nation’s most famous horse track and one of the world’s biggest equine industries. Betting on sports like basketball, football and baseball is a logical next step, lawmakers believe. The Louisville Courier-Journal reported state Sen. Morgan McGarvey told forum attendees that sports betting could provide much-need revenue to state coffers without increasing taxes. State officials estimate sports wagering could bring in up to $30 million in annual revenue. "We still don't have enough revenue to operate the basic needs and obligations of state government as it currently exists. It's a way for us to generate revenue from something that's going on already." The Kentucky Horse Racing Commission, which already oversees pari-mutuel wagering in the commonwealth, would be a likely regulator. Annually monitoring millions in monthly revenue, sports betting would likely advance through a relatively straightforward regulatory process if legalized by the legislature. That’s doesn’t mean Kentucky sports betting is a sure bet. Representatives from the Kentucky Family Foundation also spoke at the Louisville forum, voicing concerns about “moral issues” from gambling. This view has remained in Kentucky, one of the most conservative states in the nation, and could influence lawmakers despite the financial benefits other states are already experiencing. McGarvey further refuted that view at the conference, pointing out that Kentucky residents already wager millions on sports illegally each year. Action from the state could regulate these wagers and bring money back to the government. If the legislature can get a bill passed it would still need a signature from the governor. Gov. Matt Bevin supported the overturn of the federal ban on sports betting but has distanced himself from gambling expansion in his own state. The governor’s opposition may not sink the bill, but the General Assembly would need a supermajority vote to override a veto, a daunting prospect for nearly any piece of legislation, let alone one that remains politically divisive among conservatives. When and if the bill is signed into law, it wouldn’t allow Kentucky residents to place a bet the next day. Regulators, likely the KRC, would need to create their own rules, a process which has taken several months in other states. Gaming partners would also need to come on board, which could present an additional challenge. Pennsylvania has legal sports betting on its books, but high taxes have dissuaded any partner from applying for licensing to take bets. Kentucky’s tax rate is even higher in its current bill. All these are among many factors Kentucky will have to work through to take wagers. Bipartisan support in the legislature puts it ahead of most states, but that position may not last much longer. If Kentucky doesn’t act it may fall behind its closest neighbors in the sports betting legalization race. Kentucky won’t be the only state debating sports betting next year. It likely won’t be the only one in its region. Ohio lawmakers will take up sports betting when its legislature reconvene in Columbus next year. The Buckeye State has expanded its gambling offerings in recent years and seems in a better position than most other Midwestern states to take bets. This could spark similar actions in states like Michigan, Illinois and Iowa, both of which have shown support for sports wagering themselves. One of Kentucky’s neighbors is already poised to take its first bet. West Virginia has wrapped up what appears to be the last step of its regulatory framework and should accept wagers by September. The fifth state in the nation to take legal bets, West Virginia again highlights the growth of sports betting – and presents another push for further expansion.